While going zero waste may not be practical or achievable for most, everyone can invest in reusable and sustainable alternatives to reduce their plastic and trash output. Switching to sustainable alternatives can save you money and lead to a healthier Earth and you. Before making the switch, make sure to use all your old products up, as that is part of the sustainable practice. Love the convenience of single cups of coffee from your Keurig? No need to get rid of it. Simply ditch the plastic K Cups and opt for reusable ones instead. The reusable cups can be filled with grounds and used over and over again for years, saving many pounds of non-recyclable plastic K Cup trash. Opt for a reusable, compostable dish brush instead of a plastic sponge. When at the end of its life, the dish brush head can be thrown in your compost to absorb back into the Earth. Sponges cannot be composted and can take hundreds of years to break down. Save a ton of money and reduce your trash intake by using rags instead of paper towels. Rags can be purchased or made from old clothes or textiles. Rags are reusable and can be easily thrown in the washing machine once dirty. Paper towels can break down in the landfill but can also contain harmful chemicals. Rags are the cheapest and most eco-friendly item to use for cleaning. Traditional dryer sheets are made with synthetics and are non-recyclable. Dryer balls are reusable and can cut drying time, reducing your energy usage from the dryer as well. If you don’t use dryer sheets, you are already reducing unnecessary trash! If you really want to be environmentally friendly, try air drying your clothes. This will completely cut your energy usage and extend the life of your clothes. Plastic grocery bags take up to 500 years to decompose, and even then, they will never fully decompose, only turn into microplastics. Paper bags are a better alternative than plastic, but the paper bag industry is responsible for mass amounts of deforestation and habitat destruction. The most sustainable option is investing in Organic cotton tote bags, like the ones from Gallant. Gallant’s tote bags are made from 100% GOTS certified organic cotton, made at a Fair Trade certified factory and are safe for workers, farmers, the planet and you. If not needed anymore, organic cotton bags can safely decompose in six months or less. Reusable shopping bags are the easiest zero waste switch to make. Plastic water bottles can be easily avoided by investing in a reusable water bottle. You can purchase one new or buy one at a second-hand store to reduce the cost. 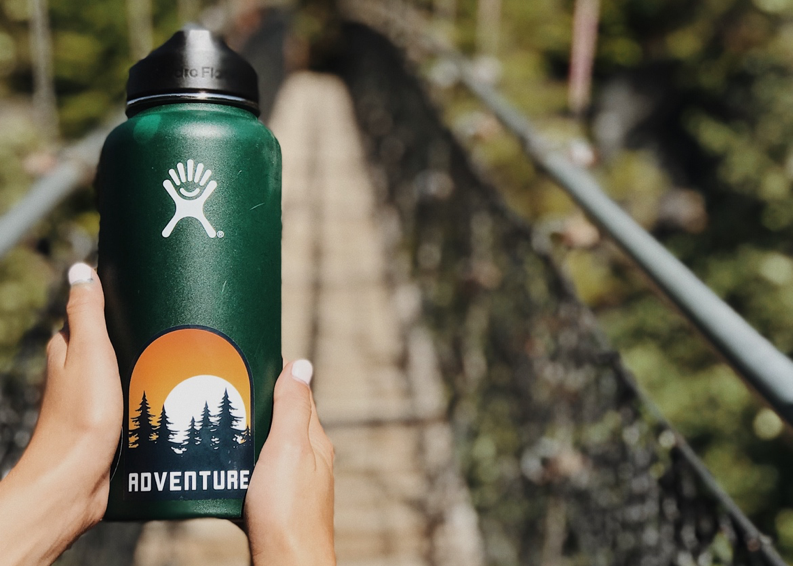 Bringing a reusable water bottle with you can help you avoid not only plastic water bottles, but plastic cups at cafes and coffee shops as well. Plastic toothbrushes can take hundreds of years to break down in a landfill. While bamboo toothbrushes aren’t perfect, and many bristles won’t compost, the handle will compost or can be reused for other things. Stick a handle in your garden as an easy vegetable label or reuse your toothbrush for cleaning. Plastic straws are perhaps one of the easiest plastic products to avoid. Straws are completely unnecessary, if you don’t have a sustainable alternative, simply say no. However, if you just can’t live without a straw, invest in metal straws and throw them in your bag or car to use while on the go. Compostable paper straws are also a great alternative to plastic, but they tend to get soggy when immersed in a drink for too long. Plastic utensils can leak toxic chemicals into your food while cooking. Bamboo cooking utensils are toxin free and will last just as long as your plastic utensils. Bamboo cooking utensils are sold everywhere that plastic ones are, making them easily accessible to all. Bamboo will also decompose safely once no longer needed. Traditional cleaning products can contain extremely toxic chemicals. While there are environmentally safe cleaning products on the market, the most sustainable thing you can do is make your own. Many DIY cleaning products consist of mostly vinegar, a cheap and sustainable item you can buy in bulk. Create an easy, orange scented counter spray by soaking orange peels in vinegar for one week. Plastic bags can take up to 500 years to break down in the landfill. Make the switch to reusable bags instead. Companies like Stasher make reusable silicone bags, simply throw them into the dishwasher and use them for years on end. You can also opt for options like glass Tupperware or Bees Wrap to protect and preserve your food. Bees Wrap can even be made at your home. Why use so much plastic at the grocery store when you can put your produce in organic cotton bags instead? Protect your food and put it in Gallant’s organic cotton drawstring bags instead. If you are in a pinch or forgot your bags, don’t be afraid to shop without any produce bags, it will all get washed eventually. Every time you put a new blade on your plastic razor, you are not only using the plastic blade, but the plastic packaging as well. Safety razors are 100% recyclable, blades and all. Safety razors are an investment in the beginning but will save you lots of cash in the long run. Safety razors can also give you a superior shave! Make these 13 easy switches today and spread the message of how to convert to a sustainable, less waste lifestyle. Nobody is perfect, and trash is almost impossible to avoid, but by switching to reusable items, you can make a big difference.